Former Chelsea striker Diego Costa has admitted he’d love Cesc Fabregas to seal a transfer to Atletico Madrid, but stressed it’s not up to him. The Spain international left the Blues for Atletico last season after a mixed three seasons at Stamford Bridge where he largely shone on the pitch but had his issues off it. 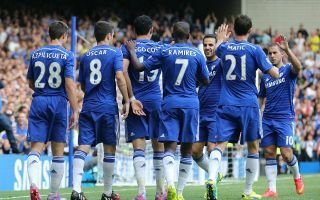 One real high note from Costa’s time with Chelsea was the on-pitch partnership he struck with Fabregas, with the pair combining almost telepathically in their first season together, both playing key roles in the team winning the 2014/15 Premier League title. It is little surprise then, that Costa now admits if he could be reunited with Fabregas in Madrid, he’d be very happy, as he revealed in an interview with Marca. The 29-year-old, however, also says it’s not up to him to decide signings and says he wouldn’t request his manager to bring in specific players. ‘If I could take Cesc, I would take him,’ he said. ‘I had a great connection with him. He gave me life, but I didn’t mention anything to the coach.